Larry Morrow was born in Pontiac Michigan on March 24, 1938, but his story is all about Cleveland. He was (and is) a man who knows what he wants and what he believes and was never afraid to work toward that goal. Larry used various radio personas including John Paul Jones. While in Michigan he worked for a large radio station, CKLW as the night man. He was known as "Duke Windsor." Early in his career in Detroit Larry thought he'd never make it. As a listener, he knew what he liked to listen to and "I became what I liked to listen to." 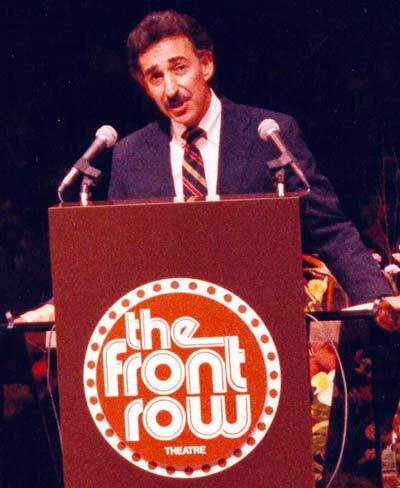 Although his show did not originate here, it was the number one night show in Cleveland. New owners came into CKLW and everyone was terminated. But in Cleveland the brand new WIXY 1260 was just coming onto the scene. The owner of WIXY, Norm Wain, was excited about the chance to get Duke Windsor on his station. Larry was excited to be coming to Cleveland and starting on a new station. Jane Scott wrote an article for the Action Tab with the headline "WIXY Makes Duke Theirs." 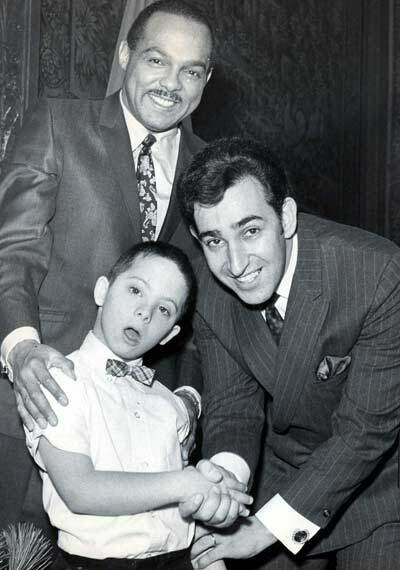 On September 23, 1966 Larry Morrow went on the air - using his real name. The owner was out of town and called into find out just who this guy was - he thought he had hired The Dukester. 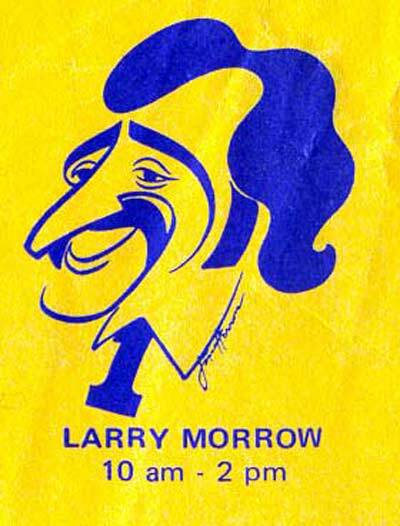 He soon found out that by any name Larry Morrow was the best. Morrow started out in the nine to noon slot, moved to ten to three and stayed there for six years. Larry arrived in Cleveland July 23, 1966 - a date many Clevelanders remember for another reason; it was the start of the Hough Riots. His first thought was to get out. He left a fifth rated station in Detroit to come to an eighth rated station here and was greeted by riots. He was afraid the city was too small for him. But he quickly fell in love with the people and decided to make his career here. WIXY had the highest rating in the entire United States and Larry Morrow had the highest rating in Cleveland - with over a 50 share. In today's market an 8 or 9 share is considered huge. FM radio was just in elevators and doctors offices at this time. Larry was doing about 5 record hops a week - sometimes even two or three a night. "Those were the days when if you said 'I'll be at a Mall giving away records' 2000 kids would show up!" Everyday before he would go on the air Larry took the phone book and called up random people. He told them he would say their name on the air if they promised to listen. He would keep calling until he got ten promises, which sometimes meant forty or fifty calls! It wasn't long though before people got to know him and he was ten for ten in a hurry. 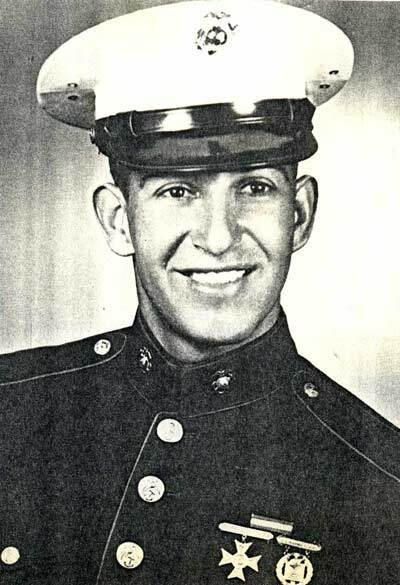 In 1970 Larry was voted the DJ of the year, a national honor. There were 73 DJ's from 22 radio stations involved and over 3 million votes cast. Larry Morrow got over a million of those votes! 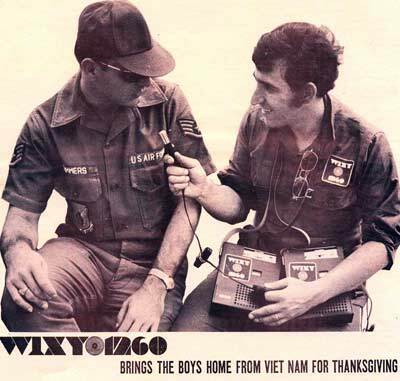 In 1969 while at WIXY Larry, a former Marine Major, went to Vietnam to bring home Thanksgiving messages from the troops to their families. It was long before the days of "embedded journalists" and his trip and subsequent messages meant a lot to the young soldiers and their families. The people affected by this magnanimous act of kindness will never forget him for it. Eventually Larry quit WIXY because he was getting "burned out." 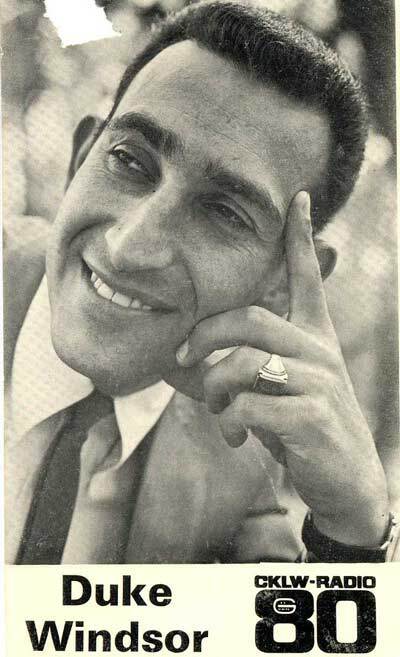 While working on the radio he was simultaneously creating advertising and jingles for his own company. 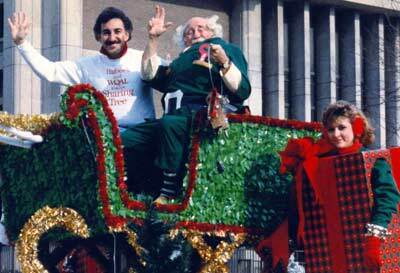 He had commercials on Superbowl VII, and was on camera for BF Goodrich. He even won a CLEO (Advertising's answer to the EMMY) for a Smuckers commercial. "For awhile everything I touched turned to gold. I was freelancing and it was wonderful." 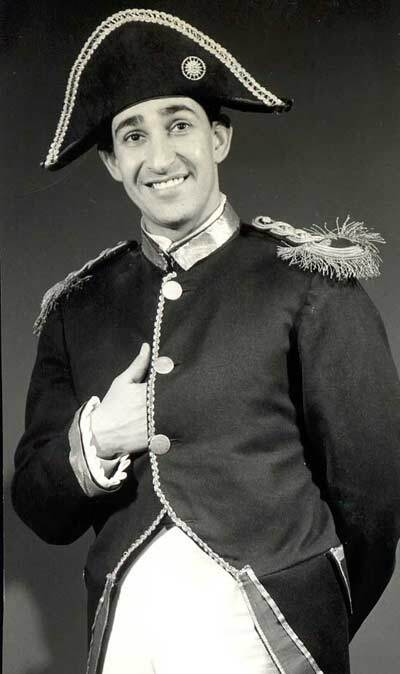 Larry wrote the original Cleveland Cavaliers fight song (Come on Cavs) as well as the theme for the Crusaders. In 1993 when he was working at 3WE he wrote their jingles as well. The advertising business was much more profitable for Morrow than was radio. He started at WIXY making $9,000 a year and although it grew to $20,000 when he left, it was nowhere near what he could make in his successful advertising business. In September, 1972 Larry met his wife Rosary. Almost a year later (July, 1973) they were married. He took on her three daughters and he says "We have been on our honeymoon for 31 years!" The problem with being off the air and on the road with his business was that Larry, a strong believer in marriage and family life, would not be able to keep up the pace he had set and be a good husband and father. "It's amazing how God works in your life to get you back where you should be. If not for Rosary and the girls I wouldn't have gone back on the air." 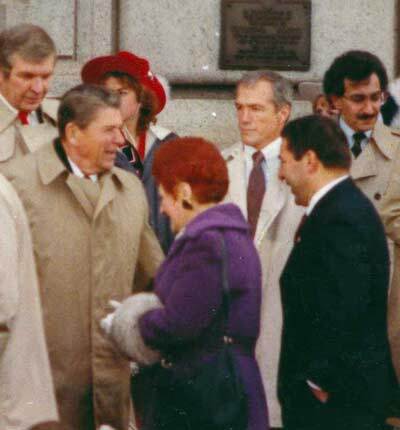 At the time, Tom Embresica was General Manager at the new 3WE. As a friend he asked Larry for his input on who should be his new morning man. Larry told him the man should be positive, know people, care about people and be able to interview people. Embrescia realized that Larry, unknowingly, had described himself. He offered Larry the chance to get back on the air, and in order to be home with his family more, he decided to do it. "I knew it would cost me at least $100,000 a year to leave my business and go back on the air to be a father and husband. It was the best thing I ever did. It was an easy decision to make and it got me back on the air where I probably belonged." So, on April 2, 1973 Larry went to work at 3WE. He was only meant to replace Jim Runyon for a short time until Runyon recovered from an illness. Runyon did not recover and died 13 days after Morrow started. Morrow signed a long term contract to be the morning man. 3WE was mostly a talk station. He played about 8 songs an hour vs. WIXY where he played 22. "It was a combination of talk, interviews and good clean comedy." 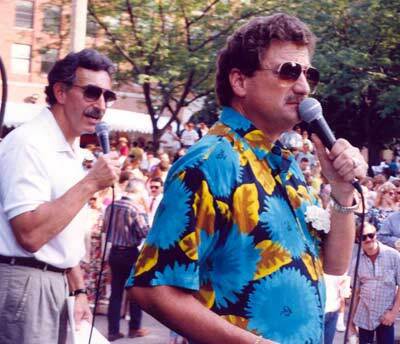 He took the station from #13 to #1 in the ratings in a time slot that he shared with Gary Dee and John Lanigan. But after ten years the station changed to Country Western, which was not part of Larry's contract. He left 3WE and went to WERE where he not only did a talk show from 3-7 daily, but he was also Vice President of Programming. 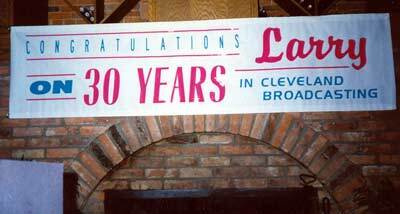 Larry got fed up with WERE and told them in a letter that he thought their equipment was bad, their programming was bad, the station (who billed itself as WE'RE Cleveland) had no future. He told them he could no longer work there. Instead of accepting his resignation they asked him to stay on and fix the problems. He did. He stayed, but it was not his ideal working conditions and "I hated every minute of it." Finally he had to leave WERE and one day, not long after leaving he ran into a former intern of his from WIXY, Walt Tiburski. Walt had just bought WQAL and told Larry he wanted him to be his morning man. He accepted and also became the VP of Programming. His time at WERE had prepared him for both roles. "God had a plan; I just didn't know what it was. He works in all aspects of our life." 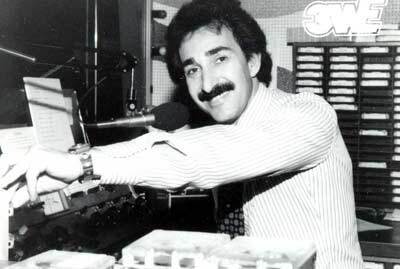 When he began at WQAL in 1985 the station was not in the top ten in ratings. Within the first year of his being the morning man they were just 2/10 of a point behind Jeff and Flash in the morning. "My audience from WIXY followed me all the way through. They started with me with Rock n' Roll at WIXY moved onto Adult Contemporary at WERE and now they were with me for Easy Listening at WQAL." 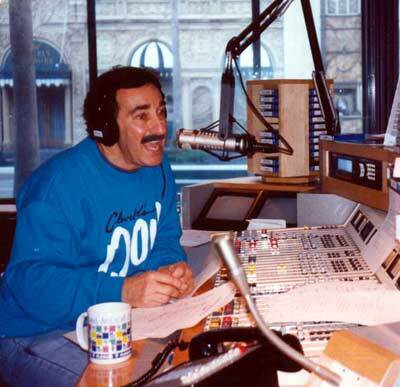 But then in 1990 WQAL changed their format to Q104 and started playing top 40 "Even though I was progressing backwards in the type of music I was playing, my audience stayed with me until the day I left". Larry started to feel that the attitude in radio stations had changed. They stopped caring about Cleveland and its people. There were no local shows, no politicians, no sports figures, and no concern about anything but ratings. Everything was going syndicated and national. He knew it was time for him to go. The day he left was June 1, 1999. He tried to retire, but that only lasted until the Fourth of July weekend. He was golfing every day and having breakfast with his friends every morning. "It felt like every day was Sunday, and I had too much energy for that, so I went back to work." This time he went full force and throttle into his advertising/promotion company The Larry Morrow Group. The company has three major components. The first is ad specialties including promotional products, premiums and business gifts; the second is proprietary consumer products and; the third is seminars. The seminars include very specialized topics such as those for the police and fire departments to help them in their courtroom testimony; for lawyers on Litigation and the Media and; businesses on "The Art of Communication". "It's not what you say." Says Morrow "It's how you are heard." "I found a way to have 400,000 people get up every morning for 35 years and tune me in. I found a way to reach their hearts and they got their Larry Morrow fix." It is this magnetism that he helps promote in his seminars. To be successful in reaching his audience, Larry had to first know his audience. "I had to read the books they read, see the movies the see, love the same things that they love." Larry had always felt that there was a reason he was on the air. He believed it was to portray a moral and spiritual tone to everything he did and said to his audience. That thread was consistent in every station he worked for. "I truly believed, and still believe, that most people believe in moral and spiritual things." The entire time he was on the air, from WIXY to WERE to WQAL he never told or allowed a dirty joke, a song with double entendre (or worse). "I was not preachy; I just refused to have these things on my show. If a song was about drugs or violence or demeaned women, I wouldn't play it." Of course this was not always well received. He remembers the day Madonna announced she was going to pay someone to father her child. An office worker shouted "Hurray!" He got on the air and said that every child deserves a mother and a father. He didn't care if he got in trouble - in his heart he just knew that more people agreed with him and that most people felt that way. "One day when all is said and done I have to stand before God and give an accounting of my life. I want God to say 'Well done my good and faithful servant'." At 66 Morrow is not sure what the future holds. He may go back to radio in some capacity, he will certainly continue with the Larry Morrow Group. He's been doing commercials and has been in talks with Joan Andrews from Lake Effect Radio. His energy level is still that of a man in his 30's and he has no plans to retire "again" soon. He wonders sometimes why he keeps doing as much as he does. "I was at The Taste of Hillcrest Rotary Event and a man came up to me and said that I had talked to his 6th grade class about character and integrity. The man said 'I finally get to thank you.' And I realized that's why I do what I do." There are some things that will always make Larry Morrow happy. Cleveland is one of those things and his wife and kids are another. "People used to ask my friends if I was for real. They couldn't believe I really cared so much about Cleveland and my family. But it's all true." Larry has introduced the last five Presidents of the United States (Carter, Reagan, Bush, Clinton, and Bush). 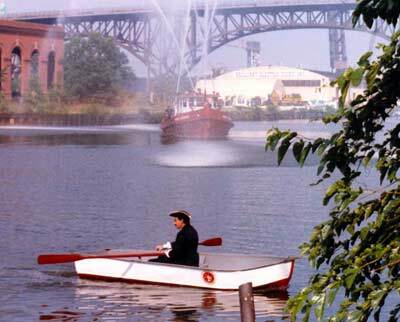 He has emceed the largest crowd ever assembled in Cleveland, the Bicentennial on July 21, 1996 where 450,000 people flooded downtown. 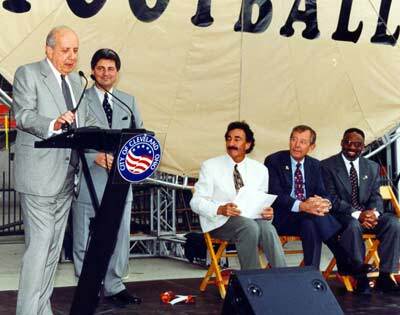 Among the people on stage with him that day were President Bill Clinton and actress Debra Winger. 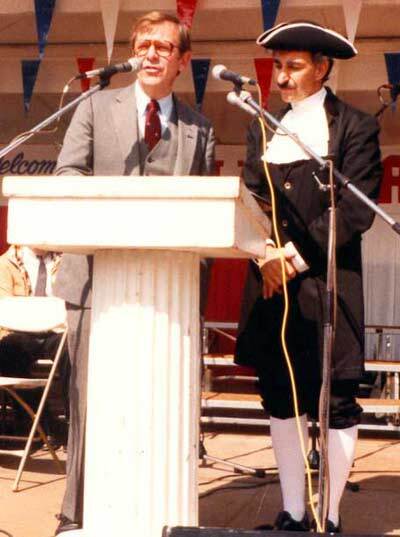 Larry loved Cleveland so much and promoted it so strenuously that in 1979 Mayor George Voinovich named him Cleveland's No., 1 Civic Booster and gave him the title "Mr. Cleveland". 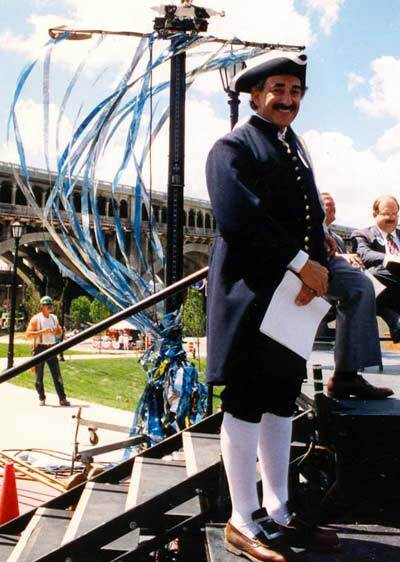 In 1984 he felt it was important that Clevelanders know something about the man who founded this city, Moses Cleaveland. So he dressed up as the man himself and re-enacted the landing at Settler's Landing. "Just to draw attention to the history of this city." 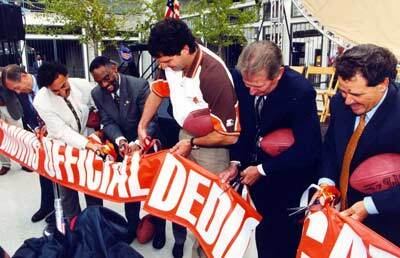 He helped cut the ribbon to the new Browns Stadium in 1999 and acted as emcee for the ceremony. 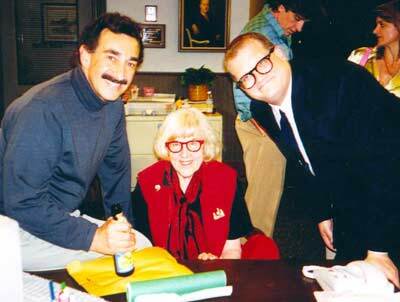 He even appeared on the 100th episode of The Drew Carey Show. He has earned every major broadcasting award including: The National Abe Lincoln Award which goes to the most distinguished in the industry and The Cleveland Community Service Award given by his peers (the highest award radio can give). He has been inducted into the National Broadcasters Hall of Fame and is the only broadcaster from the state of Ohio to be nominated to the National Radio Hall of Fame in Chicago. 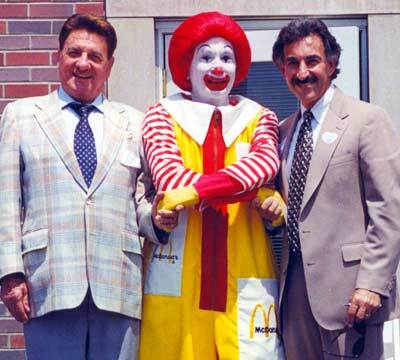 Over twenty-five years ago Larry got involved with Ronald McDonald House and is still actively involved today. He has offered his time and talent to over 150 local charities. Simply put, Larry Morrow is a good man. He is a man of integrity and morality. He is a man of faith and family. He is a man who supports the things he believes in: his God, his family and his city. Without ever preaching to us, he has shown us a wonderful example of how the good don't always finish last. Being a good man has paid off for Larry Morrow and nobody deserves it more.